Long before mankind kicked a ball or passed one around, people were riding on horseback for sport. The sport of horse racing dates back before even the Romans trotted around in their purple robes, and it is easily one of the most popular sports in a nation like America today. As soon as horses became domesticated, man realized they could ride them. And with the riding, well, as all gamblers know, guy one undoubtedly said to guy two, "Hey, bet I can beat you." And racing was born. Horse racing is perhaps most popular in the United States, where most of the nation's 50 independent states have some type of horse track available, and where it's typically considered either outright legal or tolerated. At Legal Betting Online, the legality is what we are aiming to touch on, first and foremost. We are here to provide you quick, accurate, straightforward information about horse racing's legality and availability, as well as information on betting structures, how to find a good racebook, and even tips to win money. If that's something that interests you, you are in the right place. Is Online Horse Betting Legal In The United States? In 2006, president George W. Bush signed into law the Unlawful Internet Gambling Enforcement Act, known as the UIGEA. This crippled online poker rooms, casinos, and even niche games like bingo and keno because it cracked down on the financial institutions that process gambling related transactions. However, within the complex language, written and rewritten by teams of politicians, special carve outs were made for the horse racing industry. Perhaps because of the popularity of big-time races like the Kentucky Derby, or maybe just because most states offer live tracks so enforcing anti-Internet gambling seemed obtuse. Whatever the reasons, the UIGEA actually carved out a spot for horse racing in particular, and thus it was never considered illegal like poker or blackjack. Not only horse racing, but also dog racing, like the greyhounds. That's right; these types of racing have always been considered legal online, all but a few states. Washington, Mississippi, Nevada, Utah, Arizona, Missouri, Illinois, Virginia, Maryland, the Carolinas and Georgia do not have legalized horse racing; however, most of these US states do offer legal gambling. So, if you live outside of the aforementioned states, you can gamble online legally on horse racing. If you live within one of those states, you may need to seek other options, such as an offshore site, which is perfectly legal to bet at. Horse betting is just one of the many features available to players who open up a sportsbook account at Bovada. They are one of the most trusted names in online betting and come highly recommended by our team. Why Does Horse Racing Earn Legal Status in America? There is no way that politicians simply made a gross oversight when figuring out which forms of gambling to ban online. That is not in their nature. So, why is horse racing considered to be legal in America while so many other sports are not? While the technical story can be boring and confusing, the fact is that a few Senators refused to support the UIGEA unless it specifically saved horse racing for members of their states. To get the bill passed, so Bush could have a win, government gave the okay for horse racing, and this type of sport was not affected by the legislation. Of course, to make sure that the federal government did not stomp all over states' rights, states were given the option to individually opt out of legalized racing if they wanted. Unfortunately for some Americans, a few states (some of the ones we mentioned above) did decide to opt out and made racing illegal, whether horses or dogs. With a state like Illinois, they simply don't have a large racing culture there with live tracks, and did not want to introduce an online gambling culture where there wasn't one before. Mississippi is like a mini Las Vegas, and so they did not want racing interfering with their state's residents gambling at casinos. Utah, of course, resists gambling for religious reasons. Virginia just seems out of the gambling fold altogether. Washington did not want to step on the toes of their Native American (tribal) gambling culture. So, of course, some states opted out. But most did not, and thus horse racing is legal online for most Americans today. Are Online Horse Racing Sites (Racebooks) Actually Legitimate? There are two main types of racebooks online about which we will speak here: Offshore sites and state-based sites. Offshore sites are simply sites that are located outside of US jurisdiction, via Caracas or Gibraltar or other areas where America doesn't have influence. State-based sites are those licensed by the state itself. Now, as to which is legitimate, or if racing as a whole is legitimate online, that really all depends on which site you're dealing with. Most of today's reputable websites are watched closely by committees and are independently tested and audited to ensure a smooth flow from how their systems operate to their payment structures. And all sites will use some take on an RNG (random number generator) for games outside of racing. Of course, with horse racing or the greyhounds, what you're looking for are (A) accurate odds that reflect live betting, and (B) a fair payout structure offered by the site. We cannot claim that every site meets these two points, but that is certainly the standards to which we hold them, and the standards to which you should hold them. When looking for a legitimate site, those are two things you want – and more on what else to look for later on. Now, let's get to the good stuff. This is all about betting, and the basic gist of wagering on horses or greyhounds via an online racebook. To begin, let's speak about what betting on the horses is. It is not considered to be commercial gambling; instead, it is classified as pari-mutuel betting. This is a type of betting whereby all bets on a specific sport are pooled. For example, let's say that 30 people go to a racetrack and each place $20. The total wagers collected is $600. Taking a vig, which is a percentage, closely akin to a rake, the track profits. For the rest of the money, this is what you are being paid with should you win, save cases where the track has to go into its own pockets, as it were. 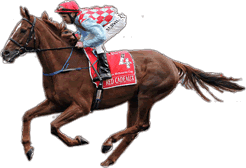 It's because of this group payment system that horse racing avoids the commercial label. Don't worry about tracks not making theirs, however. Even in the event they have to pay out of pocket, they are still taking anywhere from 15 to 30% of the entire pool, so they are handsomely rewarded. Most people aren't betting on that 30:1 shot, as most bet on favorites. Therefore, tracks, either online or on-location, are not typically paying out any more than what is in the pool. Favorites pay a smaller sum. Understanding the structure in general and how your bet feeds the payout kitty, so to speak, may help you make a better decision going forward on whether to bet a long-shot or a favorite. Betting types for races may be a bit more complicated than you suspect. It's not all about the 4:1 and 10: 1 stuff with racing. You can get into some types of wagers that one must be an avid gambler to comprehend. Our goal is to explain these to you well enough to grasp them, so you're betting from an informed position. With a straight bet, to give it to you simply, you are betting on a horse—let's call him horse X—to either take 1st, 2nd or 3rd place. Of course, betting on 1st pays more than the others. Betting on a horse to take 1st is called a "Win." Betting on a horse to take 2nd is called a "Place." And betting on a horse to take 3rd is a "Show." Now, such is the case that you can bet on horse X to show, and that horse can win. In this instance, you still get a 3rd place payday even though your horse won. It goes by your bet at the end. Boxing is simply a term where you will place favored horses in a "box," so speak, and bet on various possibilities when you're not sure of the order in which they will finish. For example, in a Quinella box, you will pick three horses and win if any two finish 1st and 2nd; 3-5 also pays out, depending on what odds the site is offering up. Let's say you've been following the ponies for a bit and you have a very strong feeling about how horse X will run on a dry track vs. its competition. But you're not sure which horse will finish 2nd, 3rd, etc. This is where you can make a keying bet. This is done by placing the bet on the one you have "keyed" to win, and you will select other possible horses to finish in the top, though in no exact order. How Many Events Do Good Racebooks Cover Online? A good racebook you find is going to offer you quite a few solid race opportunities of which to take advantage. In our experience, we have found that offshore sites typically have more races, but not by a whole lot. They have more races because they cater to an international audience, which includes a lot of Europe and sometimes even South Africa. So they need to promote more of the local (or relatively close) events for this audience. American-based sites can still offer a lot, but they typically cater only to individuals residing within their specific state, or a state where racing is legal, and therefore they don't tend to offer such a selection of international races or smaller, under card races. 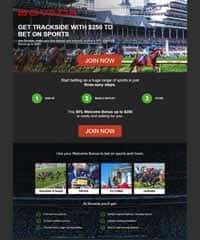 Betting on the Kentucky Derby, the Preakness Stakes, the Belmont Stakes, and other popular races such as the Triple Crown can all be found at reputable racebooks online. Though you can find many more when they're ran, such as TVG races, the Breeders' Cup, Kentucky Oaks, the Travers Stakes, and much more. With the right racebook, you will not be starving for betting options. You will have plenty to keep you busy. How is the State of the Horse Racing Industry Online? So, since horse racing is exempt from the UIGEA, you may think that online racing is the largest American legal gambling industry right now. However, betting on racing is actually on the decline and has been since the 1970s. This decline can be attributed to a lot, but the number-one reason is that there are so many other options now. Racing animals may be older than other sports, but horse racing cannot compete with football, especially fantasy football. It cannot compete with the NBA or NCAA basketball. Then you have gambling options like poker, casino games, bingo, and more. Adding it all up, horse racing becomes a niche sport, and that niche has actually grown smaller, not larger, since becoming accessible online. What has been getting more people over to racebooks recently, however, has been a two-punch combo. For starters, quality racebooks offer so many options that gamblers love what they find once they get there. Number two, the legality of horse racing is starting to spread, and people tend to flock to the legal forms of betting rather than risking it the other way. So, the industry has shrank some over the decades, but it's still vibrant. Millions still love to bet the ponies. While horse betting is legal in the following states, even if you don't reside in one of those states you can still legally bet with an offshore site as long as it's licensed in a jurisdiction that offers legalized gambling. The gambling laws in America don't actually make the act of betting illegal, it just makes the those who accept wagers in the US illegal. In other words you placing a bet with your local bookie isn't illegal, but the act of him accepting your real money wagers is. Check out our legal gambling states in the U.S. section for a more comprehensive overview on each state. The Breeders cup runs November 2nd and 3rd, 2018. What we seek to provide you at Legal Betting Online is information. We won't claim to make you rich through wagering on horses. We won't claim to transform you from a novice gambler into a professional with an unbeatable system. But what we can say, and be certain of, is that you will leave here knowing the basics of horse racing and will be able to gamble legally, to understanding the betting structures, and to put yourself in a better position to win money. As a resource site providing information for gamblers, that is what we aim to provide. We can tell you what to look for, and where to look for it, but the rest is up to you. Horse betting is not the only exciting sport to bet on. Learn how wide the scope really is when it comes to legal online sports betting. Legal US Friendly Casinos - We only list the most reputable casinos listed here. Legal US Friendly Poker Sites - There are only a couple but they are gems.